Army First Lieutenant Jack Jacobs was serving as an advisor to the South Vietnamese when he and his men came under devastating attack. Severely wounded, Jacobs took command and withdrew the unit, returning again and again to the site of the attack to rescue more men, saving the lives of a U.S. advisor and thirteen Allied soldiers. Colonel Jacobs received the nation’s highest military award, the Medal of Honor. 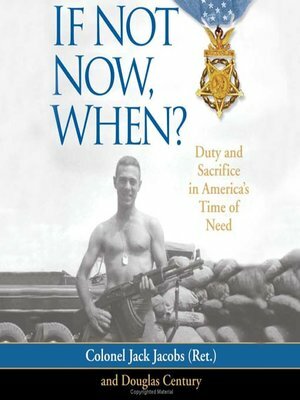 Here, with candor, humor, and quiet modesty, Jack Jacobs tells his stirring story of heroism, honor, and the personal code by which he has lived his life and expounds with blunt honesty and insight his views on our contemporary world and the nature and necessity of sacrifice. Brian Williams and Roderick Gordon are coauthors of the international bestseller Tunnels. Jack Jacobs retired from the military as a full colonel in 1987. Today, he is widely regarded as one of the world's most perceptive and outspoken military analysts. He lives in Millington, New Jersey.